The Parallel strategy provides a simple yet efficient way to machine shallow areas. However, in some situations it can be difficult to specify the optimal toolpath angle and thus requires additional work in order to create separate operations with correct machining angles for each individual area. This type of problem is easily solved with HSM Performance Pack. 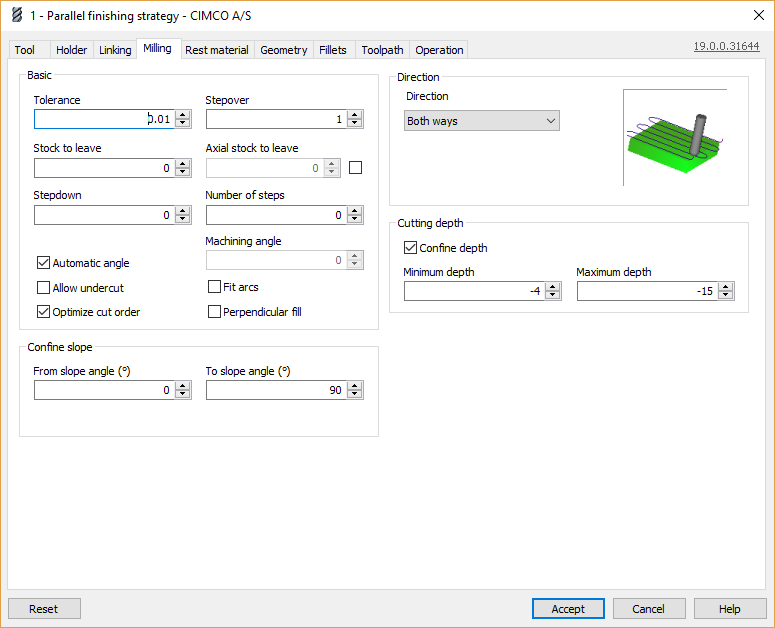 By enabling the option “Automatic angle” the optimal machining angle is automatically determined for every area – saving you lots of time. Download our example part “Parallel with Automatic angle” to try it out for yourself. “Automatic angle” enabled for Parallel under the Milling tab. 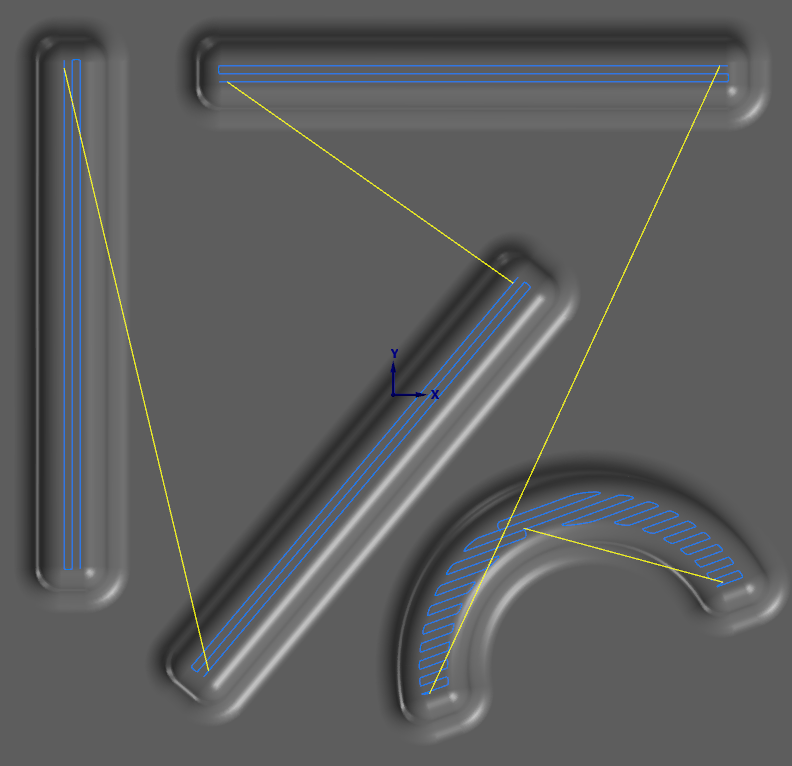 Parallel toolpaths with optimal machining angles.